Every time I play a new Super Mario game, I am surprised. I am surprised that a franchise as old as Mario can stay relevant over the years, even though the plucky plumber continues to hop over the lifeless carcasses of so many washed-up characters. I am surprised that, although Nintendo has given Mario as many wacky jobs as Fox has given Homer Simpson, the Mario series remains fresh. I am surprised that it remains as exhilarating to control Mario as he sprints and jumps over lava today as it did over twenty years ago. At this point, it should not come as a surprise when I say that Super Mario Galaxy is an excellent game. Super Mario Galaxy re-introduces 3D gaming, expands the rules of platforming, and demonstrates how the judicious use of motion control can augment traditional gaming mechanics. Galaxy's approach to 3D sets it apart from any other game. We live in a 3D world, one that relies on rules of orientation: the concepts of "right-side-up" and "upside down" define our perception, and have defined how we have constructed 3D games. 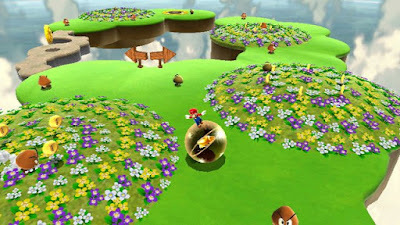 Galaxy's spherical design aesthetic often alters this concept of orientation; when Mario runs around one of the planetoids, his direction is dictated by how the camera is positioned. With a simple button press, what was once "left" instantly becomes "up." Suddenly, the player must learn how to negotiate a new universe of game design, bringing back echoes of the delirious sense of freedom inspired by Mario 64. Perhaps unsurprisingly, Nintendo demonstrates wisdom when implementing motion control. Instead of awkwardly trying to replace actions traditionally controlled by buttons with hand motions, Galaxy uses the Wii's powers to augment traditional skills. The most prevalent use of the Wii remote's motion sensing capabilities is found in Mario's spin move. Used as an offensive attack or a jump-boost, the spin is activated by the nearly ubiquitous "Wii waggle." Even a small flick of the wrist will activate the move, but more importantly, the form of the waggle is irrelevant: the move is performed identically whether one shakes the Wii remote like bottle of cheese whiz or a fishing rod. 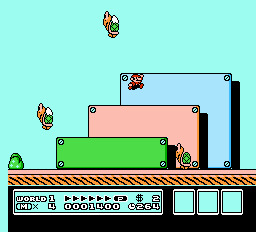 Without having to worry about performing an oddly exact notion, the player can instead focus on linking the move together with button presses. Motion control is used inventively to eliminate the need for awkward thumb repositioning or unintuitive combination presses. This development lends itself well to new gamers while also introducing a new set of challenges for veterans. Other motion controls crop up in racing and balancing mini games, but these sections are cleverly separated from the main platforming stages. Again, Nintendo understands that motion control requires new design conventions. Motion control is not yet refined enough to handle the precision jumps Mario is famous for, and so Nintendo does not force the issue. Instead, they use the novelty of tilt control and cursor pointing in unique challenges that benefit from those specific features. I have marveled at the inventive platforming in games like LittleBigPlanet and And Yet it Moves, but Galaxy makes an even larger impression. It implements the concepts found in numerous critical darlings in fully realized way, often years ahead of other studios. Not only is Nintendo the best in the business, it also maintains its position in the vanguard of game design. There is something special about the essence of Mario, even when compared to other beloved franchises. Mario either inspires creativity or attracts people willing to explore new ideas within the oldest of genres. Franchises like Pokemon and Zelda remain largely in a state of suspended animation that, while pleasant, makes them feel conservative when compared to Mario. A new Mario game not only finds the intensity to make my hands sweat, but does so in a fresh way each time. Every iteration of Mario is crafted with painstaking care to inspire in the player a new way of conceptualizing the platformer. The title "Super Mario Galaxy" is fittingly poetic, as this game, like every Mario game, is its own independent reality: Galaxy's very being is justified and explained perfectly within its set of unified rules, fashioned specifically to reify it as the sole form of existence. Playing this game leaves one feeling that this is, and has always been, the natural way of things. 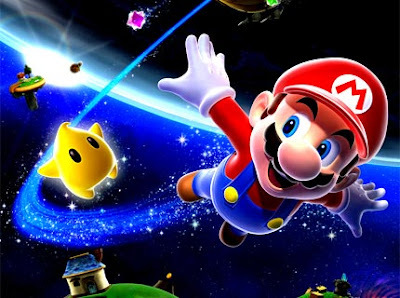 Super Mario Galaxy makes it impossible to imagine what will come next, just as each previous title made it impossible to imagine its successor. However, that game will come, and we will be surprised when we are dropped into that new universe. We will also quickly be unable to imagine anything else. Excellent article on an excellent game. You eloquently expressed feelings I'd had about the game but hadn't been able to put in words. Well done sir. Agreed with Dylan, it was a fantastic piece, something of the norm from you two. I'm yet to play Super Mario Galaxy but that looks set to change in the next few weeks, so I look forward to it. What you say about the series as a whole is 100% true, though and you nailed it in words that anyone who has played a Mario game can understand. One interesting question for you though, how do you feel about Galaxy receiving a sequel? While no doubt it will do something that separates it and justifies its existence, the very notion of it being a sequel implies that it will be similar in style and scope to the original; how does that make you feel having played the first? Furthermore, what about New Super Mario Bros. Wii and how similar (yet different) it is to the DS version that shares the same name? I'm glad you mentioned Galaxy 2 and New SMB, as I was trying to figure out how they fit into the Mario ethos. I think that they might signal a change in how Nintendo does "canonical" Mario. Galaxy looks basically like map packs, which is great for folks who loved it, but not as innovative as another stand-alone game. New SMB feels similar. I see the logic in this (from a financial and workload perspective), but I do think it will make the Galaxy experience a bit less special. Maybe Nintendo is going to take a more "sequel-oriented" approach to Mario from this point on? Their announcements certainly make it seem that way, but the question is, is that a good thing? I mean, it's Mario so it's easy to assume that whatever Nintendo do will be of utmost quality, but is a more sequel orientated approach what we want from a franchise that is one of, if not the most respected out there, and one that we are used to seeing try new and exciting things, as well as innovate? To use another example, look at Zelda. That's a series where each installment is unique, but the overall elements of it are quite similar and as a result, there were many calls for a reboot of the franchise after Twilight Princess. Personally I do feel the franchise needs something but at the same time what is there in each installment is of the highest quality, just like Mario. If this were any other franchise or any other developer, gauging how things might pan out would be easy and thus, forming an opinion of it would be too, but as this is Nintendo and more importantly, their key franchises we're talking about here, well, who knows. Very interesting times ahead though, that's for sure.